On Wednesday, November 14 the main gym at Lovejoy High School was packed even though there wasn’t a game. 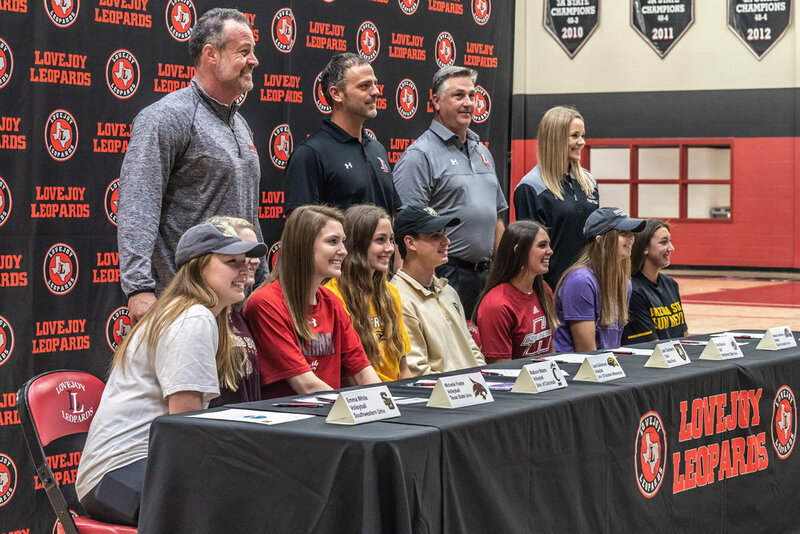 Hundreds of family members and friends were there to witness eight of the Leopard’s best athletes sign with eight different colleges. The applause was deafening and the flashes from hundreds of cameras blinding. The coaches of each team introduced their athletes and spoke briefly of their accomplishments. While the students participated in four different sports, each received praise for their equally outstanding academic achievements from their coaches. It was an emotional and joyous milestone for everyone present. Following the group signings, families of each of the students hosted a brief celebration offering décor of the colleges their students will attend and featuring decorated cakes, cookies, and beverages.